Injury breakdown point, what is it? An injury breakdown point is when you realise you are experiencing pain. Mild discomfort? – take it seriously as a warning. 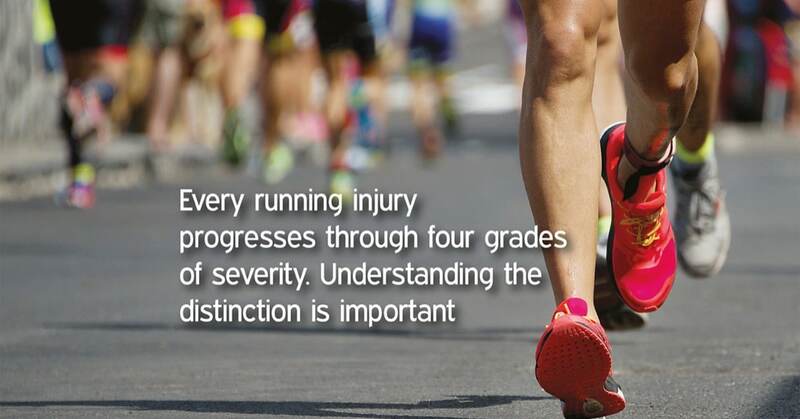 Most injuries are already in the making before we feel the pain which signals something is wrong. Take prompt action at the discomfort stage. If you experience something more sudden like a muscle strain know that in many cases the injury breakdown point has been approaching for a while. You just haven’t noticed. Or you thought you could get away with it, rarely the case in a repetitive high impact sport like running. 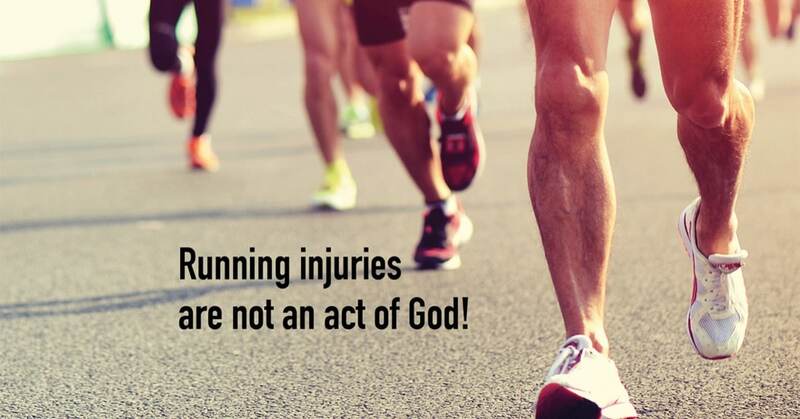 The number one cause of a runners’ injury! 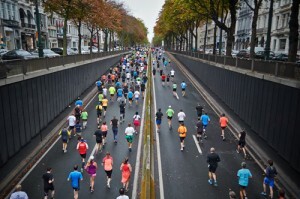 You feel good so you pile on the miles – well, that’s what getting fitter is all about! Yes, but remember this…. You don’t get stronger just because you did a hard session, but because you ate well, hydrated and rested afterwards. Rest is the most underrated part of a runners’ schedule. Last week a runner came to my clinic and it became apparent that they had tried to emulate the mileage of Mo. But all Mo does is train eat and sleep. Meanwhile this person was trying to do a full time job, manage a home and kids, have an active social life AND train for a marathon. Eh? Directly related to overtraining. I have lost count of the runners that have said to me ’I was going so well until I started speed work’. We do need speed work to get fitter and faster but start with just one or two reps with longish recoveries and build up gradually. If you are used to speed, ensure you follow a hard session with an easy day or two. 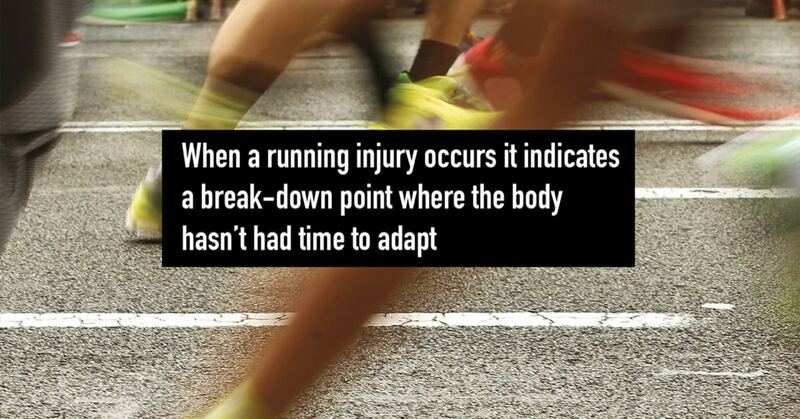 The body can then adapt and recover. You build a fitter stronger body by causing stress (your hard session) and then nourishing and resting it so change takes place. A good diet with plenty of protein is essential for muscle growth and repair. So are carbohydrates to replenish energy, and vitamins and minerals to aid biochemical systems. You have done very little hill work. Please don’t charge out and do six steep hill repeats! See above for building up gradually. That old chestnut. 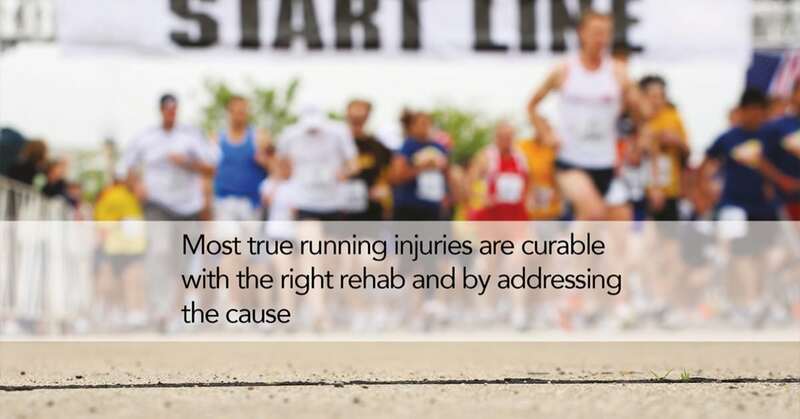 You have bought new shoes – nothing else has changed but you reach an injury breakdown point. Look at the shoe choice. But if you are buying quality running shoes and being fitted properly in a professional runners’ shop you should be OK. If your shoes are worn out, throw them away and treat yourself to a new pair. Always warm up properly. You are short of time at the track because your son needs to be collected, so you cut your warm-up. Big mistake; reschedule or save 10 minutes by doing less reps. Spend time doing some targeted stretching every day. The 10% rule. Only increase your mileage by a maximum of 10% a week. I would go further and take one easy week in four where you reduce mileage to aid recovery and muscle development. Pick up where you left off the next week. Know your limits and stick to them. If you want to make a change do so slowly and never tweak more than one aspect of your training at a time. This will save you a lot of grief.